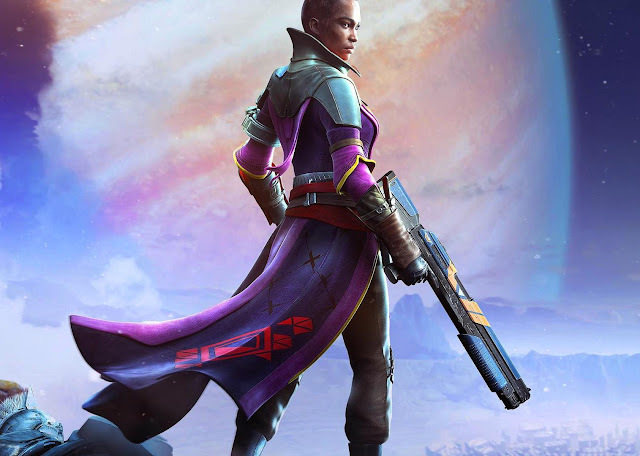 She's Fantastic: Destiny - IKORA REY! As I've repeated ad nauseam every time I attempt to post a review on a video game-based action figure, I have not played a console or computer game in over twenty years. I realized very early on in my life that my obsessive compulsive tendencies to not lend themselves well to infinite virtual environments. It's hard enough to reign myself in when it comes to toy collecting, but video games are a temptation I just steer clear of completely. That said, I'm a sucker for a beautiful action figure no matter what the source material. Ikora Rey is a human Vanguard for the Warlock class in the game Destiny (this figure is technically for Destiny 2). She is a character that supplies armor, emblems, and weapons in the first-person shooter online environment. I'm very impressed with McFarlane Toys' ability to produce beautiful women of color. I feel that skin tones and textures have missed the mark with other companies in the past, but lately McFarlane seems to nail it every time. 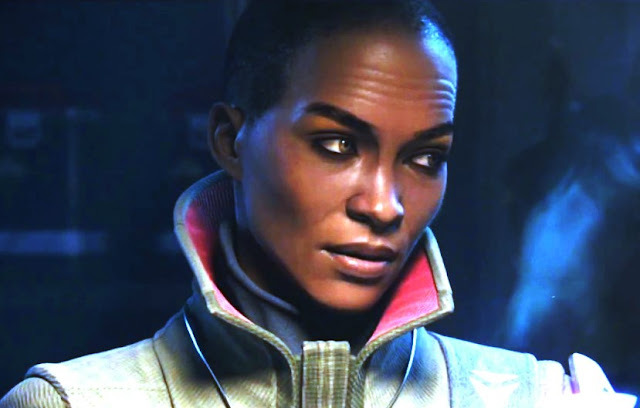 Let's check out Ikora Rey below! Ikora is very well articulated. For some reason I thought the 7" Color Tops reboot of the McFarlane lines meant reduced articulation. But she comes with all the expected joints we've come to expect from the company. Her costume details like the shouldercaps, waistcoat, and forearm gauntlets are made of a very flexible plastic, but they still restrict the posing potential quite a bit. She comes with a gun (which can mount on her back), as well as a figure stand. McFarlane Toys really seems to have a knack for producing stunning Women of Color. Here is Ikora with Michonne from Walking Dead and Aveline de Grandpré from Assassin's Creed.